Little Common Football Club’s game today (Saturday) has been postponed. The Commoners were due to host Langney Wanderers in Macron Store Southern Combination Football League Division One, but the match has succumbed to a waterlogged pitch. It means that Common have still to play a league fixture in 2016 - their only action since the turn of the year coming in the form of three cup ties. Today’s other senior matches are set to go ahead. 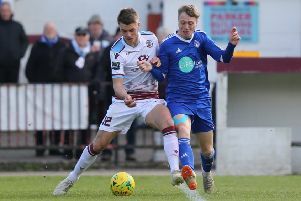 Hastings United are at home to Three Bridges in Ryman Football League Division One South and Bexhill United are away to Mile Oak in Southern Combination Football League Division One. Both will kick-off at 3pm. Westfield’s game at home to Upper Beeding in Southern Combination Football League Division Two is also on, although that one will kick-off at 2pm. It will be Westfield’s first competitive outing of 2016. The majority of today’s Macron East Sussex Football League matches are due to be played, but quite a few have been postponed.